Wells Fargo's (WFC) announcement earlier this week that it's exiting the subprime mortgage business is economically sensible for the bank, given that today's far more restrictive credit requirements pretty much put an end to subprime mortgages. It also closes a very dark chapter in Wells Fargo's history. Wells Fargo is one of the nation's largest banks, but it's had a questionable record with lending to the black and Hispanic community. As former Wells Fargo loan officer Beth Jacobson told The New York Times in June 2009, Wells Fargo singled out blacks in Baltimore and suburban Maryland for high-interest subprime mortgages. Jacobson and another former Wells Fargo loan officer said in an affidavit that the bank's employees referred to blacks as "mud people" and to subprime lending as "ghetto loans." "We just went right after them," Jacobson, who is white, told The Times. "Wells Fargo mortgage had an emerging-markets unit that specifically targeted black churches, because it figured church leaders had a lot of influence and could convince congregants to take out subprime loans." These kinds of subprime loans, often with high interest rates but nearly nonexistent qualifying requirements, generated extremely lucrative fees and income for all banks. However, when greedy bankers started writing an enormous amount of such loans to people who couldn't pay them back, the practice backfired badly, fueling the housing market collapse and leading ultimately to the financial crisis in 2008. The kind of racial steering is prohibited under the Federal Fair Housing Act. However, Wells Fargo repeated it in city after city, as law enforcers, watchdog groups and its own employees have recounted. The cities of Baltimore, Chicago and Memphis sued the bank for targeting blacks and Hispanics for high-cost subprime loans. Illinois Attorney General Lisa Madigan, in her lawsuit against the bank last year, cited marked disparities in Wells Fargo's lending data. According to an analysis of Chicago-area data, in 2005 about 45% of Wells Fargo's African-American borrowers and 23% of Latino borrowers received a high-cost mortgage. That same year, only about 11% of the bank's white borrowers received high-cost mortgages. Madigan says the trend continued in 2006, with about 58.5% of Wells Fargo's African-American borrowers and 35% of its Latino borrowers in the Chicago area receiving high-cost mortgages, compared with only 16% of white borrowers. Likewise, in 2007, 49% of Wells Fargo's African-American borrowers and 25% of Latino borrowers were sold high-cost loans in the Chicago area, compared with only 15% of white borrowers. Memphis' suit against the bank brought four former Wells Fargo employees to talk about the bank's racial bias in its lending practices. National Public Radio recounted in a piece how Camille Thomas, a loan processor at Wells Fargo who has since left the bank, said the general view was that African Americans were "less sophisticated and intelligent and could be manipulated more easily into a subprime loan than white customers." In Des Moines, Iowa, research by two watchdog groups found that minority homeowners were three times more likely to receive high-cost subprime mortgage loans from Wells Fargo than white homeowners. The Iowa Citizens for Community Improvement and National People's Action compiled data showing 46% of African-American and 35% of Latino homeowners in the Des Moines area received a high-cost, subprime loan from Wells Fargo, compared to 20% white borrowers. The National Association for the Advancement of Colored People, which had sued Wells Fargo for its racial practices, dropped its lawsuit in April, 2010. 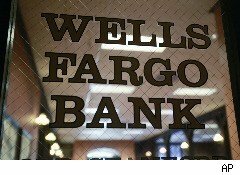 As part of an agreement, Wells Fargo will allow the NAACP to review its lending practices. The NAACP did not seek monetary damages in its suit, but said it sought to change behavior in the mortgage-lending industry. Such unwelcome scrutiny from the NAACP and law-enforcement agencies around the country likely helped hasten Wells Fargo's exit from the subprime business. However, in a statement Wells Fargo said: "The decision to close Wells Fargo Financial's 638 store network is based on economics, not litigation. With distribution advantages gained through the company's integration with Wachovia, the expense of maintaining a separate network of Wells Fargo Financial stores is no longer economically viable, particularly given that less than 2% of all Wells Fargo's real estate loans were originated in Wells Fargo Financial stores in the first quarter of 2010." Whatever the motivation, both Wells Fargo and the communities it serves are better off with the bank's subprime business shuttered.